MEMPHIS, TN (WMC) - A Shelby County Schools teacher starts every class with a motivational mantra to focus his students and get them excited to succeed. On Thursday, Michael Scruggs, a social studies teacher at W.E.B. 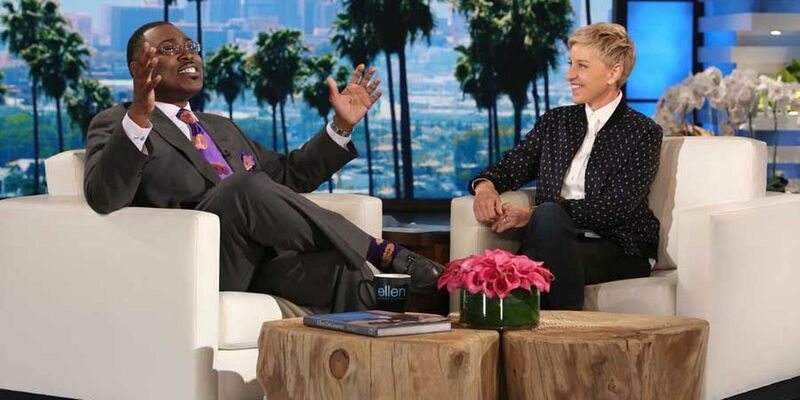 Du Bois Charter School, will share his teaching style on The Ellen DeGeneres Show. "I have a motto that I use every day that I've been doing since 2008 with my students. My motto is, 'I am number 1. I have everything it takes to be number 1. I am successful. I am great. If I woke up with a purpose, my day would be great,'" Scruggs explained to WMC5's Kontji Anthony. "This is something that I do every day and this is how it got started." He continued, "I'm running around the classroom and this is something I do five times a day," he said. "Sometimes they get up and run with me. So, it gives them the opportunity to get the energy out and get pumped up for class and it sets the tone for the class." On the show, Ellen surprised Scruggs with a former student who shared that he still uses his mentor's mantra. That student also told the audience how far Scruggs is willing to go to make sure his students succeed. "That was an experience that I will never forget. It was awesome. Very exciting, very motivating, the energy was just high the whole time," Scruggs said. When he is not teaching, Scruggs is leading a mentoring program for former students, focusing on building and maintaining relationships with inner-city teens. "It's very positive. It's very rewarding because it highlights the things that I've been doing for so long. Not just in the classroom, but the things that I do outside fo the classroom. I'm still in contact with my former students. I still mentor them. I take them out into the community and we do community service." There are plenty of surprises in store for Michael Scruggs on The Ellen DeGeneres Show. You can catch it all Thursday at 2 p.m. on WMC5.